Between a cover and an oversize scarf, the poncho becomes the essential accessory to spend a warm winter. 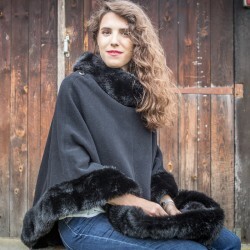 Aline’s poncho is hand made, and realized with high quality faux fur, which brings lots of sweetness. 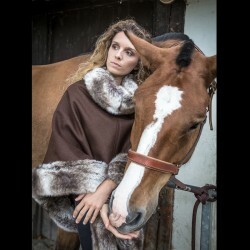 The poncho gives you an exceptional comfort, and a chic and 100% ethical look !